Recently, Google released Android 7.1.1 Nougat for its Nexus and Pixel devices earlier this week. Compared to Android 7.0, the latest version of Nougat brings some minor new features and improvements like a new emoji set, ability to send GIFs directly from the keyboard, App Shortcuts, and some bug fixes and performance enhancements. Today, Samsung has confirmed to a member of its Galaxy Beta Program under which it is testing Nougat on the Galaxy S7 and S7 edge that the final update for the handsets will bump the Android version to Android 7.1.1. 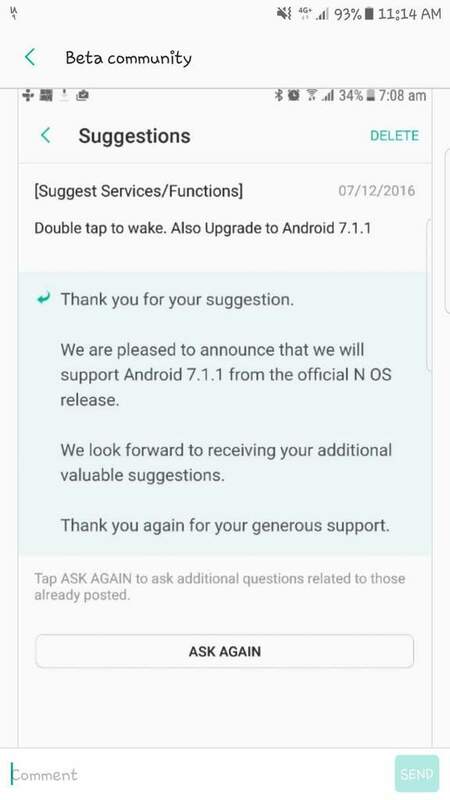 Right now, the beta builds of Nougat seeded by Samsung for the Galaxy S7 to its beta testers is based on Android 7.0 Nougat. On the Pixel and Nexus devices, the Android 7.1.1 update also led to a reduction in touchscreen latency which led to a noticeable improvement in their smoothness. 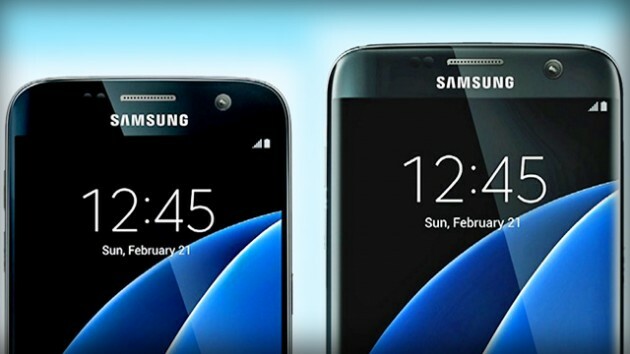 It is likely that we will see some similar touchscreen latency improvements on the Galaxy S7 when its Android 7..11 update lands.